We welcome all Hams young and old. If you are interested in joining our club or are just visiting us while here on vacation please feel free to join us at one of our monthly meetings or contact us with questions using the form below. For more information on club activities please click the EVENTS tab above. 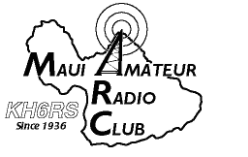 Please feel free to contact us with questions relating to our club and the exciting world of Amateur Radio. Please briefly describe your reason for contacting us today and thank you for taking an interest in our club.